Each PROTOXKIT F contains all the materials necessary to perform six chronic (multigeneration) toxicity tests with the freshwater protozoan ciliate* Tetrahymena thermophila. * Ciliates are a very important component of benthic micro fauna communities and play a key role in the recycling of organic matter. They are also, next to bacteria, the second most important group of biota in activated sludge of wastewater treatment plants. · The assay is based on the measurement of the turnover of food substrate into ciliate biomass by optical density (OD) readings. · Inhibited culture growth under toxic stress is reflected by remaining turbidity of the food suspension (and hence higher OD) in comparison to the control. · Mean growth inhibition after 24h exposure at 30°C is determined and expressed as 24hEC50. NOEC and LOEC values can be calculated with specific data treatment program. · Uniform axenic stock cultures of high quality produced in strictly controlled conditions preclude variability associated with maintenance of live stocks in different laboratories. · The PROTOXKIT F uses standard disposable spectrophotometric cells as test containers, with direct measurement of the OD of the substrate in the cells. · Tests can be started from the stock culture vial, eliminating the need and the costs of continuous culturing and maintenance of test organisms. · Minimal equipment needed for test performance: colorimeter or spectrophotometer - small incubator - conventional laboratory glassware. · Shelf-life of stock culture guaranteed for several months when stored properly, reducing test scheduling constraints. · Stock culture vial, sterile syringes for the transfer of the ciliates, tubes with substrate and reconstitution medium, stock dilution and test spectrophotometric cells and cell holders. · Detailed Standard Operational Procedure brochure, abbreviated Bench Protocol, data scoring sheets and graphical EC50 calculation sheets. · Specification sheet with batch number of the ciliate stock and the media. 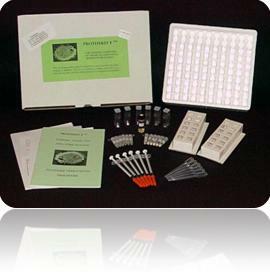 · Bioassays can be started anytime immediately from the stock culture. · Test performance only implies simple photometric OD readings at the start and at the end of the test. · Comparable to that of other ciliates in activated sludge and hence good indicator for toxic hazard in influents of wastewater treatment plants. · Compares favourably with that of human and animal cell lines pointing to the potential of the PROTOXKIT F as a screening test in human toxicology. · Growth inhibition NOEC’s determined with PROTOXKIT F tests are ecologically meaningful thresholds for the protection of protozoan micro fauna in benthic communities and the well-functioning of the ciliate component in activated sludge. 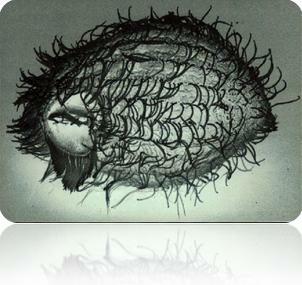 · Very large data base available on many chemicals for the related species Tetrahymena pyriformis. · Test Guideline for Tetrahymena bioassay under priority development in OECD.